The college experience is an opportunity for students to reinvent or refine the person they will ultimately become. 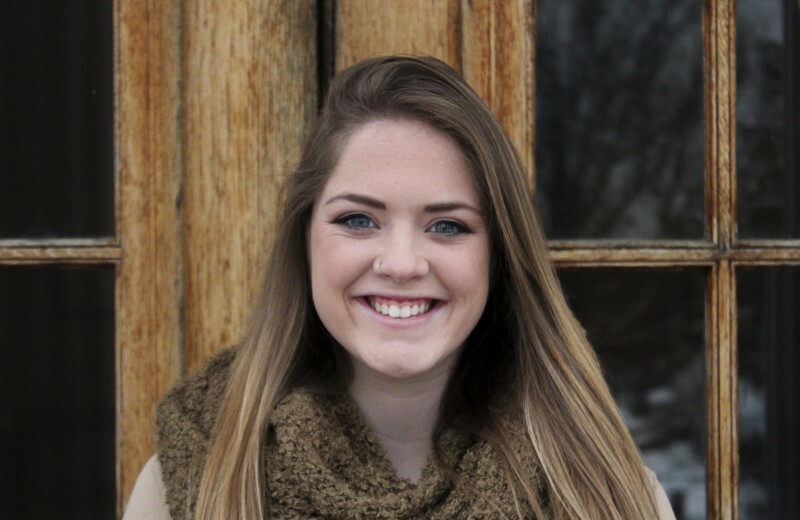 For communication alumni, Molly Howard, Castleton revealed her strengths and helped to mold her ambitions for the future. “What topped it off most was that Castleton was the place I felt most comfortable,” said Howard. Originally from Shelburne, VT, Castleton gave Howard the independence she was looking for in her college search while still being close enough to get a home cooked meal anytime. Her academic endeavors began with a suggestion from home when her mom recommended she try a Communication course. With a concentration in Graphic Design, Howard said she enjoys the balance of creativity and communication characteristics the field provides. Through the department’s Graphic Design class, Howard received relevant hands-on experiences that not only helped to hone her craft, but also confirmed her decisions to pursue the field. Outside of the classroom, Howard was a forward on the women’s ice hockey team. She appeared in 28 games of the 2013-2014 season and was named to the ECAC East All-Academic Team. She credits the three teams she has played on thus far with significantly influencing her college experience. “Hockey at Castleton has taught me more about life and myself, as well as given me life-long friendships,” she said. As an upperclassman, Howard said she works with first-year and transfer students trying out for the team to find housing and to ensure they are comfortable when they arrive at Castleton. “My role as an upperclassman provides guidance, a positive attitude and more of a responsible role outside of the rink,” said Howard. In suit with her initiatives, Howard said the entire team strives to be a positive influence in the community. As a team they host the annual Pink the Rink game, which donates money to breast cancer research. Additionally, they volunteer with less fortunate children and teach them how to skate as well as assist with practices for a women’s league for those just getting into the sport. In addition to it’s close-knit feel and the ability to play collegiate hockey, Howard chose Castleton because of her love of the Vermont lifestyle and the outdoor opportunities every season has to offer. 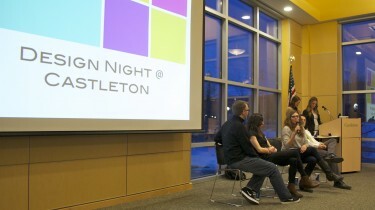 “It makes Castleton that much more appealing because each season brings something different to the atmosphere of the campus and school,” she said. From hiking the local trails in the fall and spring to skiing and snowboarding the mountains in the winter and enjoying the scenic Lake Bomoseen in any season, the area is a panorama of ever-changing activities. “Even though Castleton is a small town there is so much to do,” she said.